This is pretty awesome. In this promotional video for Razer products, LGD’s Yao is supposed to be the rich, handsome dude that has everything, while xiao8 is playing as an underdog average Chinese gamer. The girl is xiao8’s girlfriend irl, Zhao Jie. Summary of vid: The two guys face off in a Counterstrike variant for the girl, Yao dominates early, then the girl suggests they switch spots. Only one of the PCs is equipped with Razer equipment, and in the end xiao8 pulls it back and wins it all. Please note that Dotaland does not officially condone gaming on scissor switch keyboards such as the one portrayed. I think lots of readers will be hesitant and doubtful upon first reading the title here. But have no fear, I think it’s better that the ire be directed towards people like me who write this kind of stuff, rather than be directed at the teams and players in case they fail to win at TI3. I absolutely believe that they will all give it their 357% effort, but it must be acknowledged that what faces them at TI3 is much more dangerous and challenging than TI2. 1. I want to note that in the matchup between RattleSnake and Quantic for the Wild Card spot, RSnake has to be seen as the underdogs here. You can go to Gosugamers and check their match records, and compare the two teams recent results. You should see a definite trend. What this means is that, from the outset, the number of Chinese teams present may well be 4 versus 12 non-Chinese teams, as opposed to last year’s 5 versus 11. 2. Ageing. If we take a detailed look at the 4 guaranteed Chinese teams present, apart from TongFu’s Banana, all the other 19 players participated in TI2. In contrast, before G-1 Season 5, how many people knew of Admiral Bulldog, or EGM? Who was NaVi’s Funn1k? What about Fnatic’s players’ names, their roles, their preferred heroes? I’d guess that not many Chinese players would be very familiar. After TI2, with the exception of VG who brought out a few new faces, there have been no other newcomers. The likes of CDEC can’t be expected to bring immediate results right now, and thus our Chinese teams must accept the circumstances as they are currently… yet we should still question what brought this about. 3. Understandings. After their respective losses at TI2, foreign teams and players have spent the year analyzing and learning Chinese teams. In particular, Orange, who have participated in three different large-scale Chinese events since then, LGD.int who have been living and training in China, as well as the Alliance that came to China and stomped, not to mention NaVi, who will be coming to China to train soon. Across these teams, there has been a dramatic increase in understanding of the Chinese for them, while in comparison, Chinese players and teams have incomplete understandings of European and American players and teams. Chinese styles are no longer mysterious to them, while our opponents remain unfamiliar to us. 4. Gap in competitions. This is a point that I think most everyone can recognize. I roughly counted all the events available between the the end of G-League in January to the closing of G-1 League in May of 2013, and not a single Chinese team played more than 10 matches in that timespan. If you go look at Steam’s event ticket calendar, you find that in that same timespan, there were at least four significant events taking place in Europe and America. To be able to use competitions as training is a luxury for any team, and in this respect, foriegn teams havee had over five times as much experience in the past months as Chinese teams. What this brings about is a falling behind in playing style and strategies, and this is something that has already been seen at G-1. 5. The offline advantage is gone. Alliance, coming from faraway Sweden to China, showed us that the gap in offline skill from older days was no longer to be seen. Over the past half year, iterations of ESL, DreamHack, StarLadder, and other competitions have all come and gone, and with them the idea that foreign teams are “fierce online, weak offline” is fading away. 6. Mental burden. After NaVi took TI1, Chinese teams approached TI2 with a nothing to lose, everything to gain attitude, in which they all strove to be the ones to win TI2 for China. This ultimately helped iG overcome all kinds of challenges in terms of stamina and determination, and allowed them to complete the impossible mission in the end. At TI3, however, it will be completely opposite, as not only is it not a given that iG will be able to approach the competition with the ease with which last year’s defending champs NaVi did, but they will also have the entire nation’s hopes and expectations upon them. As such, all participating Chinese players and teams will simultaneously feel that they want to win, yet they’re afraid of losing. Chinese Dota stands as the world’s best, so winning is to be expected, while losing is letting the nation down. These things, while they may seem small or inconsequential to some, will be taken to heart by others that understand the nuances of competition. Me bringing these things up here is absolutely not to be a naysayer for our Chinese teams, instead, it is to bring a word of caution. Even though the Chinese Dota 2 servers are nearing open beta, even though Dota 2 has just been featured on CCTV, the trip to Seattle for all our teams is definitely not just a vacation, it will be a game of increasing challenges and difficulties compared to prior years. After TI3, Chinese Dota is primed to flip to an all-new chapter; close to half of the currently active players may retire one after the other. They are not only your gods and legends of Dota when underneath the spotlight, they are also competitors in esports, and they’ve worked and sacrificed for years just for the few chances they get. So no matter what results they achieve, they should be worthy of your understanding and respect. I’ll just say this much in this piece, next up I’ll write more specific analysis of the teams. Less than 50 days now, add oil. The announced nation-wide esports tournament will be held by Zhejiang Daily Newspaper in conjunction with renowned esports broadcaster and media company Gamefy. There will be events held later this year as well as an all-new league to begin next year. For the events to be held this year, online regional qualifiers will begin by the end of June, and there will be post-season offline finals. Amongst all this news, the fact that everything will be simulcast live across various digital platforms — including negotiations for live feeds to broadcast television, as well as official Chinese Administration of Sport support (with further details of national team selection to come later on), are highlights so far. Specifically, it has been revealed that next year’s league format competition will occur under the patronage of the Administration of Sport, with the goal to build grassroots structures in regional sporting agencies as well. 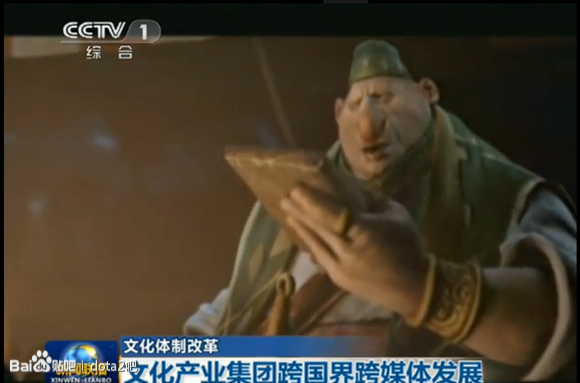 After Dota 2 and TI2 made it onto mainstream Chinese evening news last year, yesterday we saw Dota 2 and an upcoming ‘National Esports Tournament’ reported in on an even greater stage, the Xinwen Lianbo (新闻联播), the official Chinese government-sanctioned nightly news broadcast that reaches every television in the country.